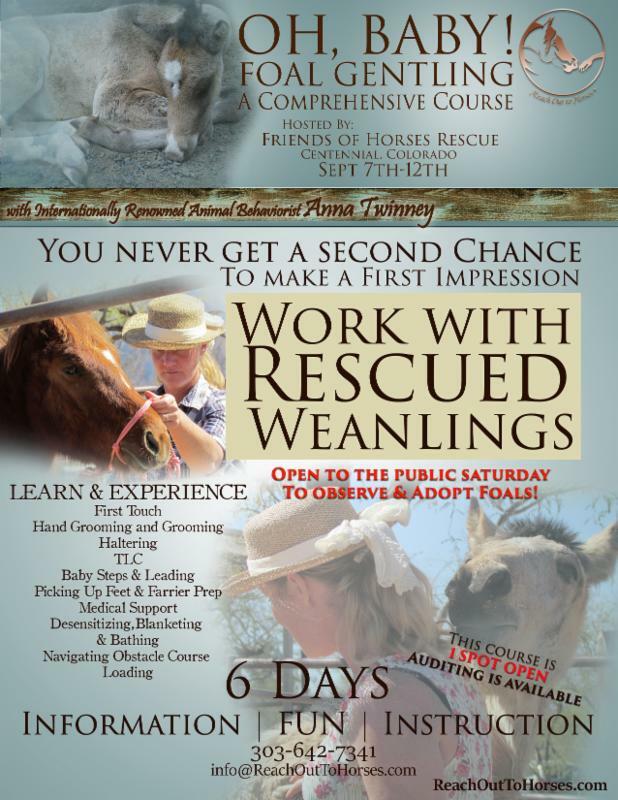 Join Us for Foal Gentling in Colorado! This portion of the event is jam packed with information, demonstrations, lectures and camaraderie. Gentling foals can be some of the most important and rewarding work you will ever do. Over the course of 6 days you will learn Anna’s unique and comprehensive methodologies for introducing these young horses to the world of humans and training. Previous postNot a by-product: The Bears and the Foal, a story of righting a wrong.